Since their foundation in 2004 as a film Production Company 509 has risen to the top of the snowmobile industry as a leader in technical riding gear. 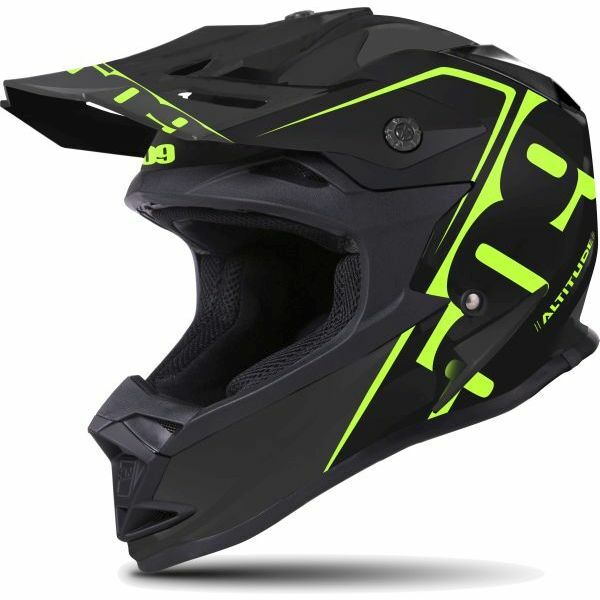 509 offers no-compromise construction of their products -- from their lightweight carbon fiber altitude helmets to their goggles and even the casual hoodies and beanies, quality shines through. SnowBigDeal is honored to carry such a fantastic brand and be a part of such a fanatical following. So be it helmets, snocross gear, goggles, or just a slick new jacket feel free to bask in the glory that is 509. Have questions? Give us a call 1-877-SNOW-BIG (we don’t bite) but we can help get you ready for the merriest time of year… snow season. 509 Evolution Sticker - 18"
509 Evolution Sticker - 8"
509 Evolution Sticker - 4"
509 Fuel Sticker - 18"
509 Logo Sticker - 24"